We price each dog individually by breed and coat condition. Please call for more information or to schedule an appointment. Our bright and spacious, state-of-the-art facility, compassionate approach and artistic flare come together to create the best bathing, grooming and styling experience available. We have a strong reputation for safe and gentle handling techniques as well being an innovator in the grooming and styling profession. We request 3 – 4 hours with your dog so we don’t have to rush. No rushing for us, means no stress for your pup! We are a (mostly) cage free facility, meaning your dog is free to play and have fun, as long as they get along well with others! Every dog gets their nails filed NOT cut when they come so we can assure they won’t scratch you, or your nice floors! Everything is included in our pricing. We don’t have many add-ons, because we believe your dog’s grooming experience should include it all. Check out photos of our adorable clients and be sure to follow us on Instagram! Great, relaxed environment for the dogs. Beautiful results too. My Newfoundland has a blast here and he looks great! This is Charlie, and he’s been going to Pampered paws for about 4-5 groomings. Every single time, the service is impeccable. He always goes in like he is ready to have a good time, because he knows he will be able to play with his friends while he waits for his haircut, in a safe, positive place. They give you the choice of having your dog caged or to have them roam in a gated area with others- which has always been my favorite asset of this company. They have always had him done a few hours after his appt time, unlike places that offer a morning drop off and an evening pick up. They gave us the cutest Christmas gift- taking the time to make an ornament of his picture, as well as giving a gourmet treat and coupon towards our next visit. Charlie loves leaving with a new bandana or tie after every visit. This place is a local gem, and the groomers really go out of their way to make you feel like a valued customer. & the prices are very reasonable- also a huge plus! We took our goldendoodle to pampered paws after much internet search and found their reviews were fantastic. I’m so happy with the results! I’ve never seen my boy look so good after being groomed before. We will continue to go here even with moving an hour away. He came home looking amazing and exhausted from playing with the other pupsHighly recommend! Marybeth and her team have always taken great care of my dogs - She is an outstanding groomer, highly recommend this business! When I had to close my grooming business due to a serious medical condition, there was only one groomer that I felt would provide the talent, compassion and love of my much loved clients and their beloved dogs. I knew Marybeth and her staff would be the right choice, and I get feedback from former clients that are overwhelmingly positive. 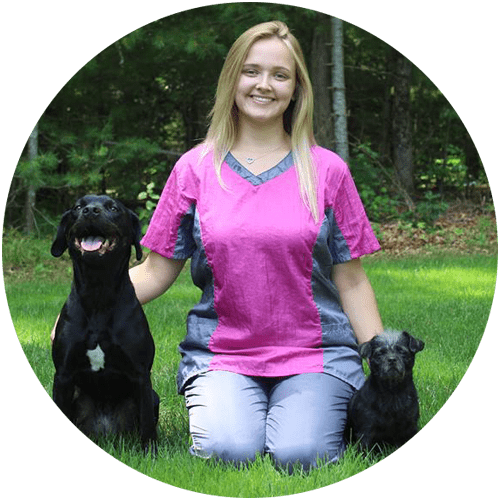 I never hesitate to recommend Pampered Paws, they are top notch professionals who treat your pet as well as if they were their own 'furbabies." My dog loves Pampered Pet Salon. He is so anxious prior to getting to the salon and when we reach the door he calms down. In addition, he looks fabulous each and every time we go. Have never been able to find a groomer for my pom. that i liked. This place is the best and my pup loves them!!!!! Great prices , clean and they did a awesome job! had my 2 Lhasa poo's trimmed up and bathed by marybeth and Benz today and they came home the softest and happiest looking I've ever seen them coming home from a groomer before! highly recommend the girls at Pampered Paws to anyone who wants to get their pups groomed and looking better than ever! This was my first time there, and Lucy looks great! They took their time, let me know what they were going to do, and Lucy even got a Christmas cookie. We’ll definitely be going back! Being a business owner I know how hard it is to find great help. Benz has been grooming Hazel and I couldn’t be happier. Marybeth you have a good helper there. Thank you so much! Always does an excellent job on my rather bushy Samoyed. Marybeth is the best groomer on Cape Cod! You can tell she really loves dogs. This is her passion and it really shows. My pups can't wait to go see her. They know that they're gonna get clean and have fun at the Pampered Paws! Had my first grooming experience with my Pomeranian here and I am very impressed. I love the way he looks, she did an excellent job trimming all his fluff and he smells amazing. He was nervous when I first dropped him off but by the time I came to pick him up he had made new friends and was super happy. Definitely will be going here again! Marybeth is absolutely amazing! I’ve never seen anyone take such pride in their work. I would highly recommend Pampered Paws to anyone. Very reasonable, clean and friendly environment! Marybeth did a wonderful job on our two GSDs. They looked awesome and were very happy when they left. Highly recommend!! Since moving to this area we have tried several different groomers for our shitzu Ozzie. His cuts have not been great. Some were awful. He was always stressed out for days after. Today he not only looked fabulous but he was so happy. Tail was wagging and he was very playful. I would highly recommend Pampered Paws. Thank you so much! We are absolutely thrilled with the service provided here. Not only were they able to fit our dog in last minute, but they did an absolutely beautiful job on her. They sent us home with a Christmas goodie bag too. Very highly recommended. Marybeth at Pampered Paws did a great job on Luna today. She's clean, neat and tidy. She looks like a young puppy again and most important, she still looks like a Newfie ! Txs, we'll be back. Was so happy to find Pampered Paws after having a few unpleasant experiences with other groomers. I will never bring my Shichon to anyone else. Great experience today. Thank you Marybeth! The best! My two Golden’s hated going to petco Someone recommended that I take them here and they both love it! Very nice and friendly every time. I take Eddy and Rio here and they love it. They always leave smelling and looking great. Very professional and friendly. And what I love best about it, is she doesn't have them all in cages. And all the dogs look right at home and happy. I just brought my 13 year old pug here for a bath and nail trim. I absolutely love it! Friendly owner, clean, easy to get to, and my dog looks and smells great! I am so happy! Thank you Pampered Paws! Only place I go to get my dogs nails cut. Very professional and friendly. Marybeth is outstanding!! Very professional and does such an amazing job! My Aussie ALWAYS looks amazing and happy when I pick him up! THANK U Marybeth. Highly recommend!! My dogs look amazing! They are not usually well behaved at the groomer so we have avoided it, but now they will be regulars! Great experience all around! Marybeth is awesome! Lord Stanley loves her....And he always looks great when she is done... His spa day! We had an excellent experience at Pampered Paws!! Our puppy was beautifully groomed and happy. Marybeth is the best! She's been grooming and taking care of my fur baby since the day we got her. Not only is she an excellent groomer but she genuinely loves the dogs and loves what she does. Marybeth and Pampered Paws has my highest recommendation! Marybeth is fabulous. She is so warm and accommodating. It is very clear that she loves the dogs. Pampered paws is so clean and such an inviting atmosphere that even my "challenging" puppy loves it there. I highly recommend you try it out. Jack went to Marybeth for his first grooming, and he looked AMAZING, and he must have felt as good as looked because he pranced around proudly all day!! Fabulous job on my Brady. Thank you so much!. Best place ever my dog was in great hands and he came out looking amazing! Marybeth is the best! Brought my 4 month old puppy to the salon for first time today. Marybeth did a great job and he smells fantastic and looks so handsome:) definitely will be going back! Mary Beth thank you for taking such good care of Winnie and her high maintenance coat! My dogs love Mary Beth, that is the best recommendation anyone can give! Marybeth @ Pampered Paws Pet Salon is fantastic! She takes the time to get to know your needs as well as your pups! Always professional & friendly this is where you want to go to get Fido buffed and puffed. Shop is clean, open concept floor plan so you can see what's going on. Kixx is always happy to see Marybeth, how many other groomers can you say that about? Pampered Paws is the best! I don't have the easiest dog to handle and Marybeth has a way with him to make him feel calm and relaxed! He always comes home clean and smells great for days! We just love this place! We would highly recommend her!!! I highly recommend Marybeth!! She's super friendly, professional and is amazing at what she does! Our two dogs love her and always look and smell fabulous after a day of beauty with her! I highly recommend Marybeth. She does such a great job and my dog smells awesome and looks fantastic after his bath. MB you are the best!! My little Maisie is begging me to go back! She was treated like a real princess and pranced with her new doo for days. She had a real SPA day! Marybeth IS the best! Best cut ever. and Spanky is almost 11 yrs old. Thanks. Marybeth Spencer was born and raised on Cape Cod, Ma. Her love for animals was evident early on, since she was raised with at least 2 dogs in the house at all times. Her love turned into a passion in 1997 when her father went blind in an industrial accident and he acquired a German Shepherd guide dog. Marybeth immediately fell in love with the dog and knew that she wanted to spend the rest of her life working with dogs. In 2008 she got a bathing job at a local groomer and he career began to unfold in front of her. She fell in love with dog showing and bought two show dogs, a German Shepherd, and a Samoyed both became champions. In December of 2012 Marybeth opened Pampered Paws Pet Salon. Her goal was to create a state-of-the-art facility where her caring and compassionate approach and artistic flare could come together to create the best bathing, grooming and styling experience available. 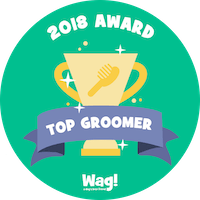 Today Pampered Paws is a thriving business, with a strong reputation for their safe and gentle handling techniques as well being an innovator in the grooming and styling profession. Marybeth currently lives in Centerville with her husband and their 6 dogs, 3 German Shepherds, a Samoyed, a rat terrier, a poodle. Marybeth started riding horses in 1998 and hasn’t stopped. She currently owns an off the track thoroughbred. In her spare time, she enjoys riding her horse and spending time with her friends, family, and of course, her dogs. 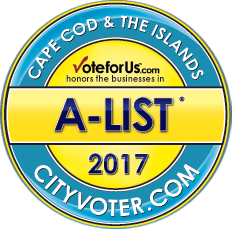 Mercedees Decker graduated in 2015 from Cape Cod Technical High School with a license in cosmetology. She enjoyed the creativity of cutting and styling but she always felt stressed out at work and couldn’t help but feel like something was missing. She was happy with her education and artistic outlet, but she still felt that her career lacked satisfaction. In 2011 she met Marybeth Spencer through her boyfriend (now fiancé). 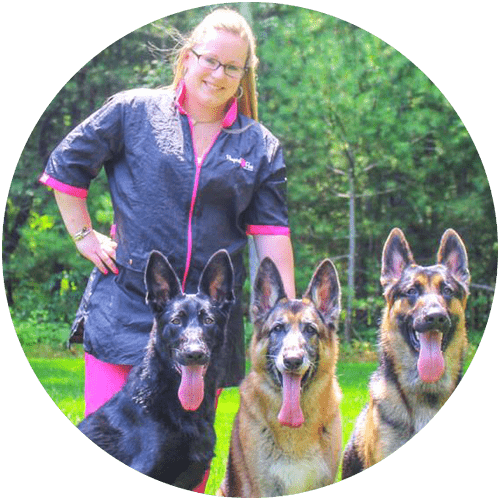 Marybeth introduced her to the innovative expressive world of dog grooming. That was when Mercedees realized what had been lacking in her job all along. It was not the wrong career choice, she just had the wrong clients! Although she always loved animals, it had never occurred to her to work with them professionally. She discovered that working with the animals made her day relaxing instead of stressful, and yet she was still able to be creative and do what she loved. She realized she had found her calling and that this was what she was meant to do with her career. Mercedees currently lives in Harwich with her fiancé Brandon and their 2 mixed breed dogs Meila, and Lulu. You can usually find Lulu sleeping on the desk right in the salon! In her spare time she enjoys traveling, and spending time with family, and friends. Questions or concerns? Email us using the form below and we will get back to you as soon as possible.